Things I made in 2014! The last post might have made it sound like it, but fortunately 2014 was not all about health problems. On my better days, I slowly but surely worked on my creative projects, and looking back I actually made a lot of things! Making these things made me really happy, and let me get back in touch with myself and my creative passions. 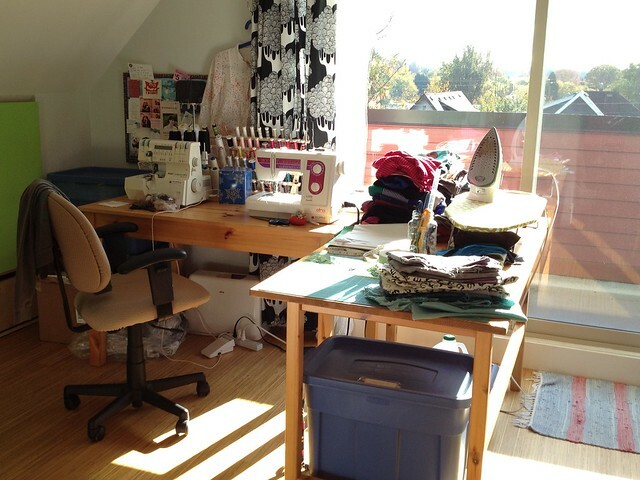 In 2013, I learned to sew clothes, and in 2014, I continued to hone my garment sewing skills, but I also learned pattern drafting (how to design my own custom fit patterns), drew a lot, published a second issue of my zine, created eight Heartgirls, and took about a zillion photos! As some of you might know, I've been working on an art project for a while now, based on a character I created almost a couple years ago. I've dubbed her Heartgirl. Heartgirl first showed up completely out of the blue when I took Flora Bowley's Bloom True online intuitive painting course. You can see Heartgirl in the red painting below. Though I was never particularly satisfied with my paintings at the end of the course (I don't think I even shared them online because they're nothing near "finished" in my mind, and the red one doesn't even look the same anymore aside from Heartgirl who I couldn't bear to paint over), I instantly loved her! I knew that there was something meaningful in her appearance on my canvas. 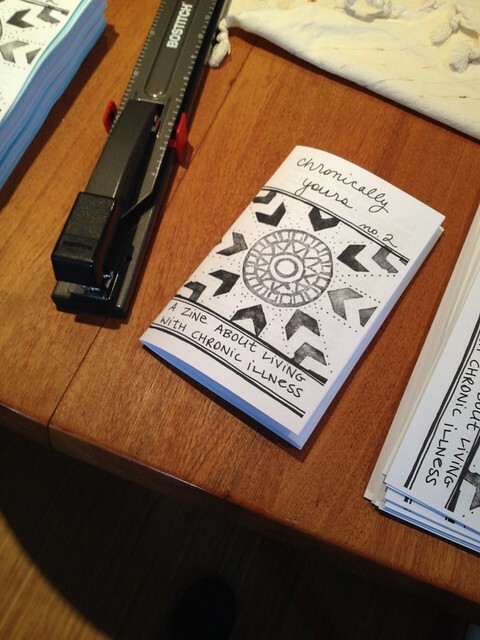 Chronically Yours issue 2 is out! 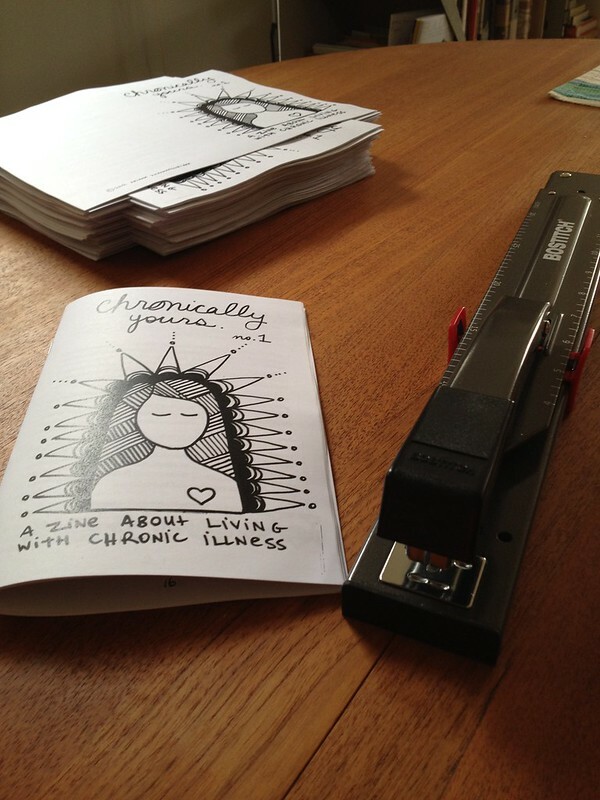 Issue 2 of Chronically Yours is finished and for sale! It's taken me a whole year to get this issue done... I've been kind of preoccupied, ironically, dealing with my health and wellbeing! 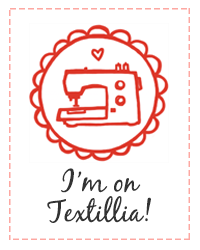 Slowly, but surely, I've been working away at it, and after a little stapling party, it's done! 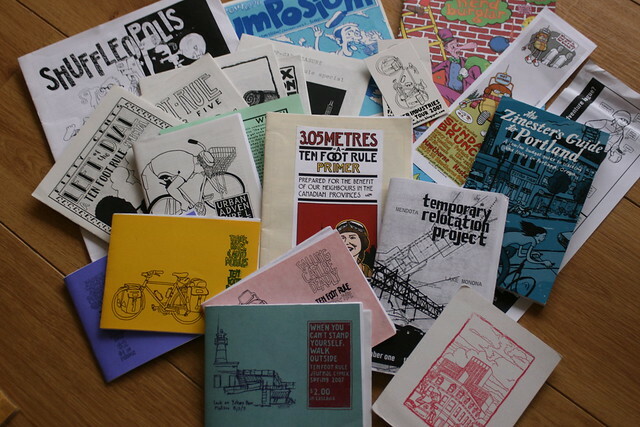 #8 on my Life to-do list: Make a zine. Check! You heard me right. 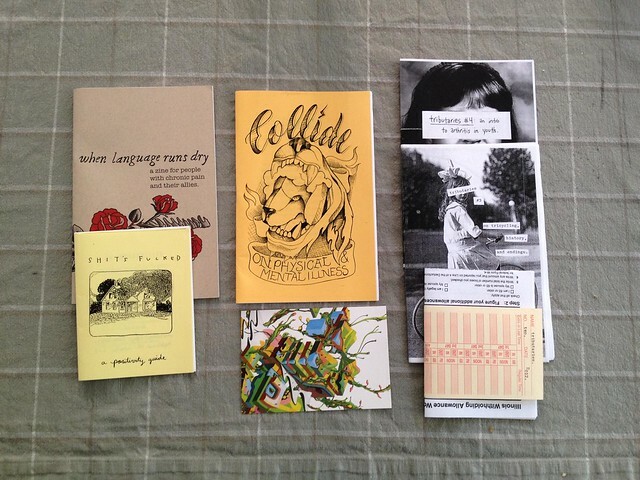 After wanting to make a zine since my teen years, and never getting up the guts to fully write and publish one, I've done it! 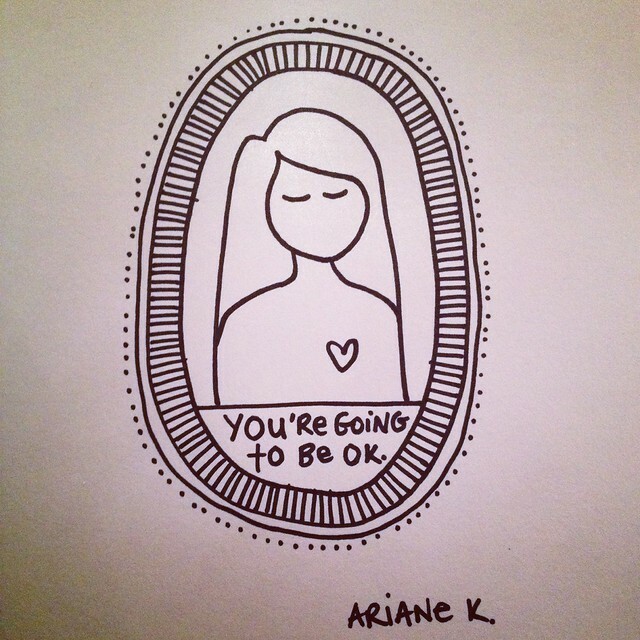 Issue #1 of Chronically Yours is up for sale in my new Etsy shop as of this morning!